Rajiv Gandhi Khel Ratan Award 2016: 24 hours after the Rio 2016 Olympics completed, the Government of India announced the names of players to confer awards. The awardee includes Olympics medallist PV Sindhu and Sakshi Malik and others. More to receive the same are gymnast Dipa Karmakar who finished fourth and shooter Jitu Rai. 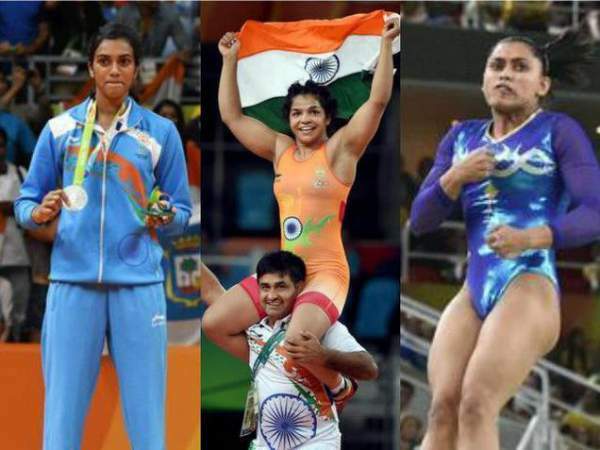 This will be the first time when the biggest sporting award of the nation will be awarded to four athletes at the same time. The names to be honored with the Dronacharya Award includes Bishweshwar Nandi, the coach of Dipa Karmakar, athlete Nagapuri Ramesh, boxer Sagar Mal Dhayal, cricketer Raj Kumar Sharma, swimmer S Pradeep Kumar, and wrestler Mahabir Singh. There are more awards to be given. 15 sportspersons will get the Arjune award, and 3 people will be conferred the Dhyan Chand Award. Along with all above, the Punjabi University of Patiala will be given the Maulana Abul Kalam Azad (MAKA) Trophy 2015-16. The Rajiv Gandhi Khel Ratna awardee will get a medal, a citation, a cash prize of Rs 7.5 lakh each. The winners of the Arjuna, Dronacharya, and Dhyan Chand awards will get statuettes, certificates, and a cash price of Rs 5 lakh each. Justice SK Agarwal (rtd. Delhi HC Judge) headed the selection committee for Rajiv Gandhi Khel Ratan Award and the Arjuna Award. MC Mary Kom was the head of the selection committee for the Dronacharya Award and the Dhyan Chand Award. The President of India Pranab Mukherjee will distribute the awards on August 29.